This statistic shows the leading cities in international visitor spending in the Middle East and Africa in 2016. Dubai had the largest international visitor spending in 2016 with 28.5 billion U.S. dollars. 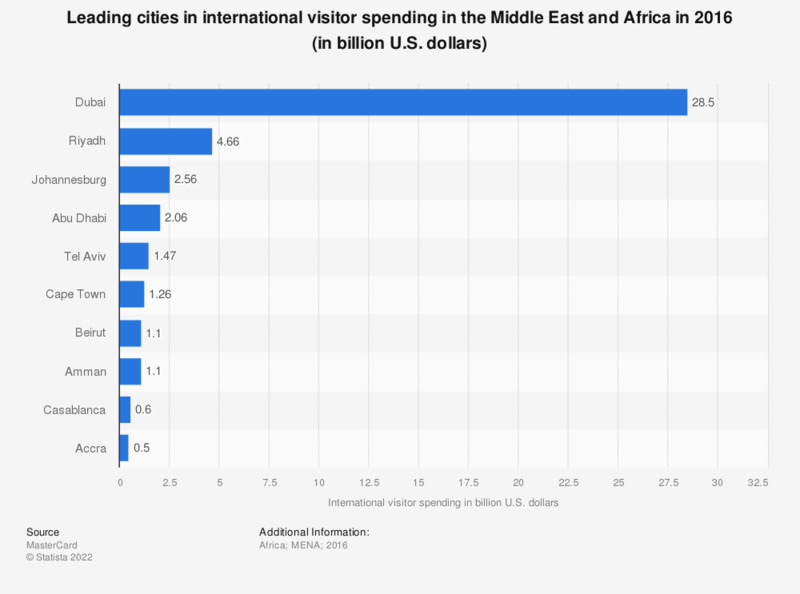 Data taken from Middle East and African cities with the most international visitors.